It's that time again... Next week brings another Fan Club Pre-Sale! This all starts on Tuesday June 11th, and will include a handful of the newly added Matchbox Twenty tour dates. Tuesday's pre-sale will simply require a fan club membership to access the tickets. 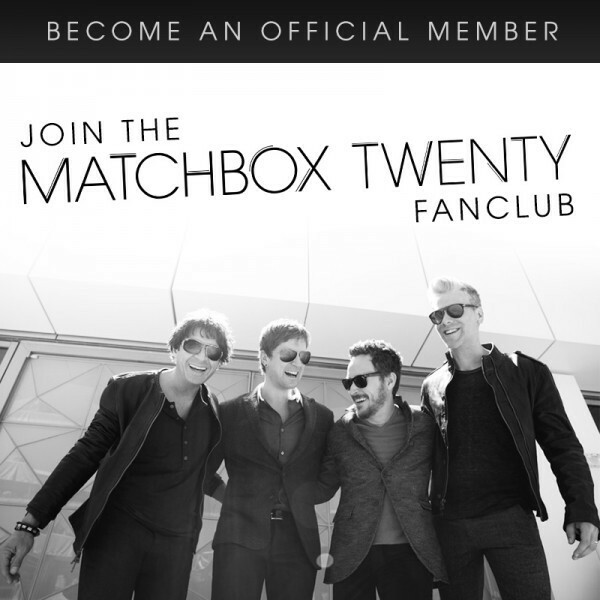 Make sure you have a valid Matchbox Twenty fan club membership by 10am PT on Monday June 10th to ensure that you get all the important info in your email inbox.